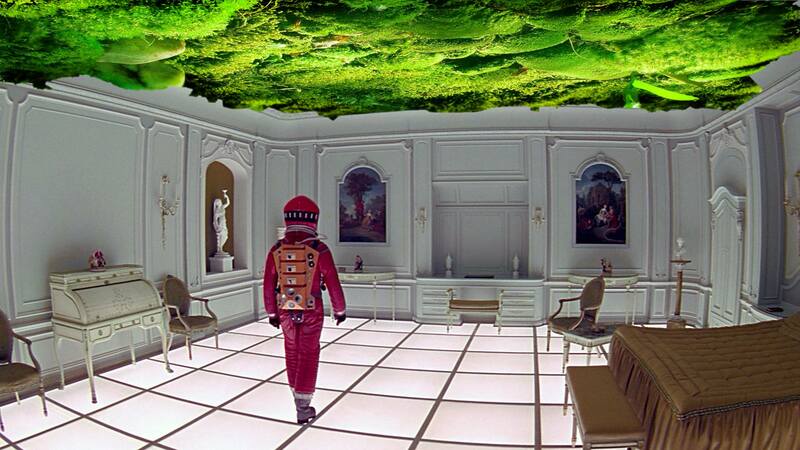 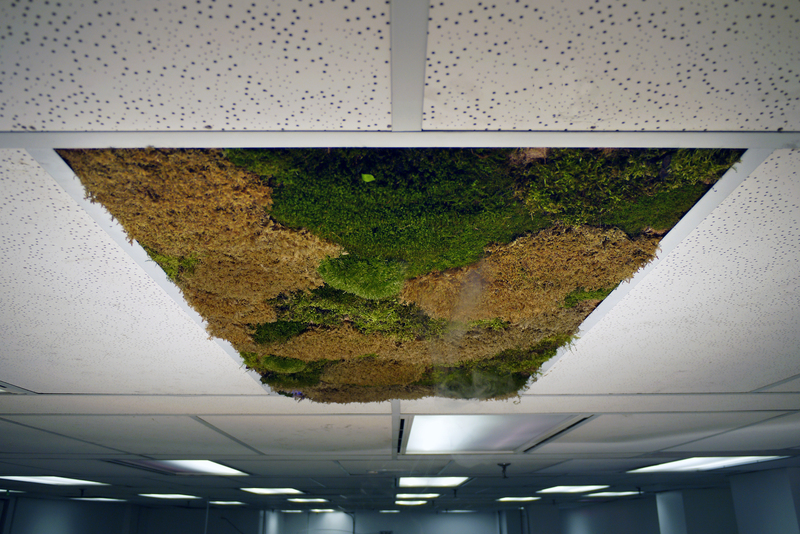 The moss-tiles belong to a series of RAD experiments in planting the ceiling for healthier and richer interiors. 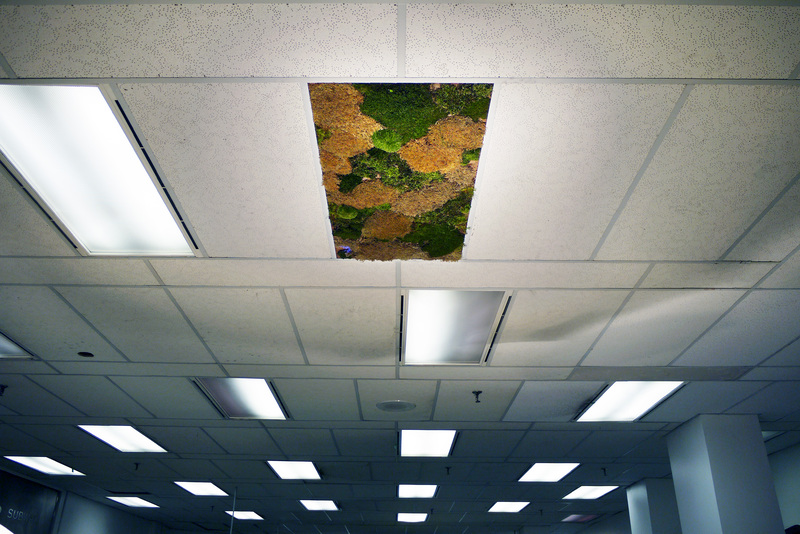 RAD recognizes the ceiling as an untapped site for interior landscapes. 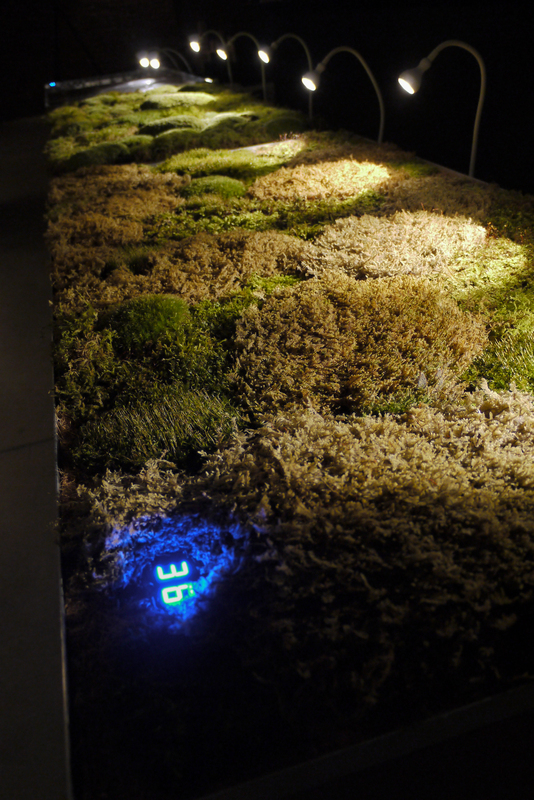 It is an undisturbed zone that can be reclaimed by nature and linked to resilient outdoor ecosystem by means of networked embedded technology. The tile consists of a disposable/recyclable coco mat “cartridge” and an aluminum ‘tray” with integrated sensors, digital readout and wireless communication. 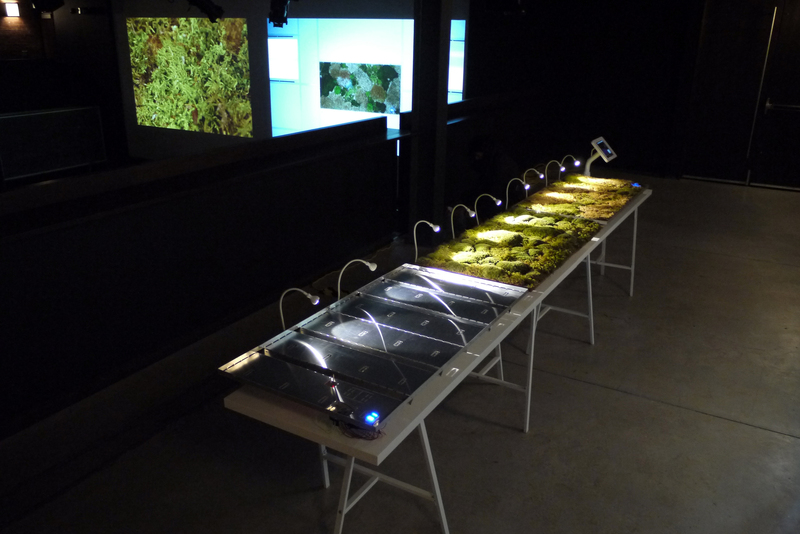 The cartridge hosts a variety of common low maintenance moss species including Hypnum, Haircap, Rock Cap, and Cushion moss. They are irrigated by a hand held piston-pump sprayer or alternatively by means of an automated misting system integrated into the drop-ceiling structure. 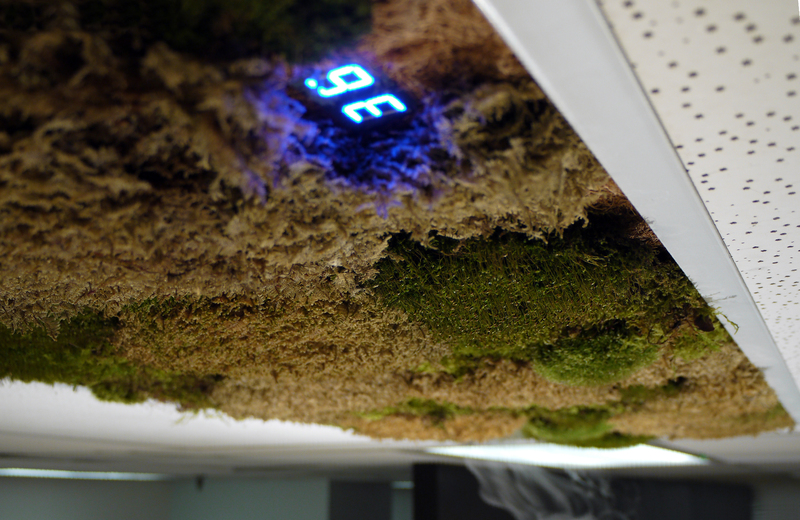 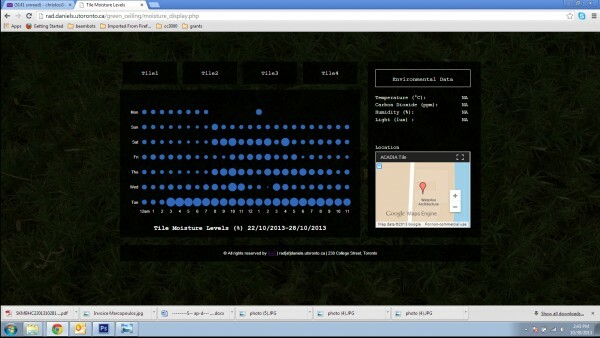 Moisture levels are optimized through embedded humidity sensors. 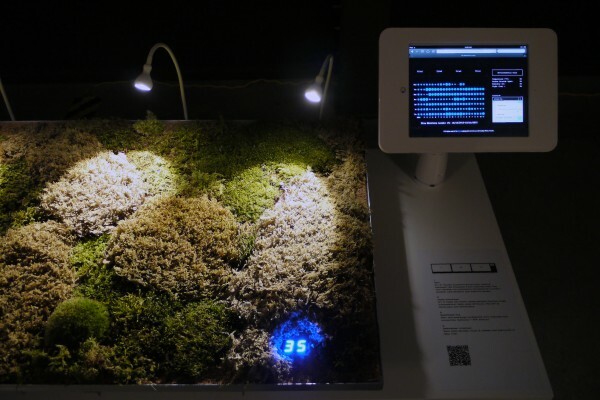 Although discretized as individual elements for stand-alone use or modular aggregation, the DropMoss™ tiles are wirelessly connected to their neighbors and linked to the Internet. They report individually on their status (moisture and pH) and together on ambient environmental conditions (temperature, ambient light, humidity, C02). 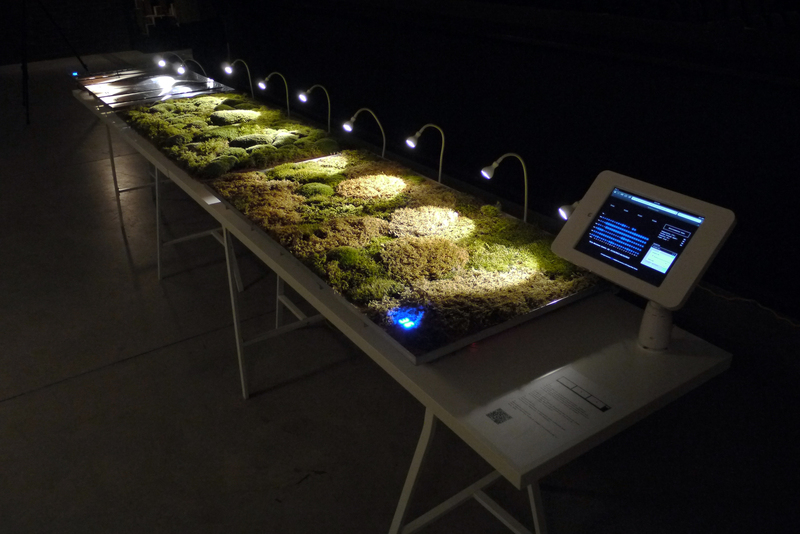 They join other networked moss communities around the globe in an ecosystem of live correlated data whose feedback serves their resilience and sustainability. 1.) “Aluminum ‘Tray” with integrated sensors, digital readout and wireless communication.